strategy of an organization and coordinating the efforts of its employees to accomplish the organization goal or objective through the application of available resources, such as financial, natural, technological, and human resources. 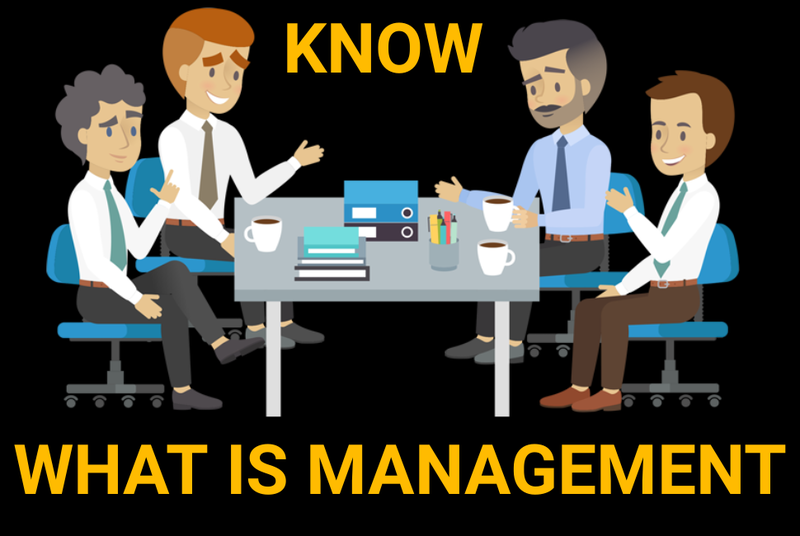 The term "management" may also refer to those people who manage an organization. Larger organizations generally have three levels of managers, these are, Senior managers, Middle managers and Lower managers. Senior managers are the top lavel mangement members. these are the members of a Board of Directors and a Chief Executive Officer (CEO) or a President of an organization. They set the strategic goals of the organization and make decisions on how the overall organization will operate. Senior managers are generally executive-level professionals, and provide direction to middle management who directly or indirectly report to them. Middle managers, examples of Middle managers are branch managers, regional managers, department managers and section managers, who provide direction to front-line managers. Middle managers communicate the strategic goals of senior management to the front-line managers. Lower managers are, such as supervisors and front-line team leaders, oversee the work of regular employees or a volunteers, in some voluntary organizations and provide direction on their work. Management involves identifying the mission, objective, procedures, rules and manipulation of the human capital of an enterprise to contribute to the success of the enterprise. According to Henri Fayol, management consist of six functions: these are to forecast, to planning, to organizing, to commanding, to coordinating and to controlling." According to Mary Parker Follett defined management as "the art of getting things done through people". She described management as philosophy. According to Fredmund Malik defined management as "the transformation of resources into utility." to increase production with the help of machines, materials and money. Peter Drucker saw management as twofold: marketing and innovation. The primary function of profitable organization is to making a profit for its stakeholders and shareholders by creating valued products at a reasonable price for customers and providing great employment opportunities for employees. In nonprofit organization the main role of management is the keeping the faith of donors and shareholders. In nonprofit organization shareholders vote for the board of directors, and then board hires the senior management.